Supportive products for licensed counselors, therapists, and other clinical professionals. 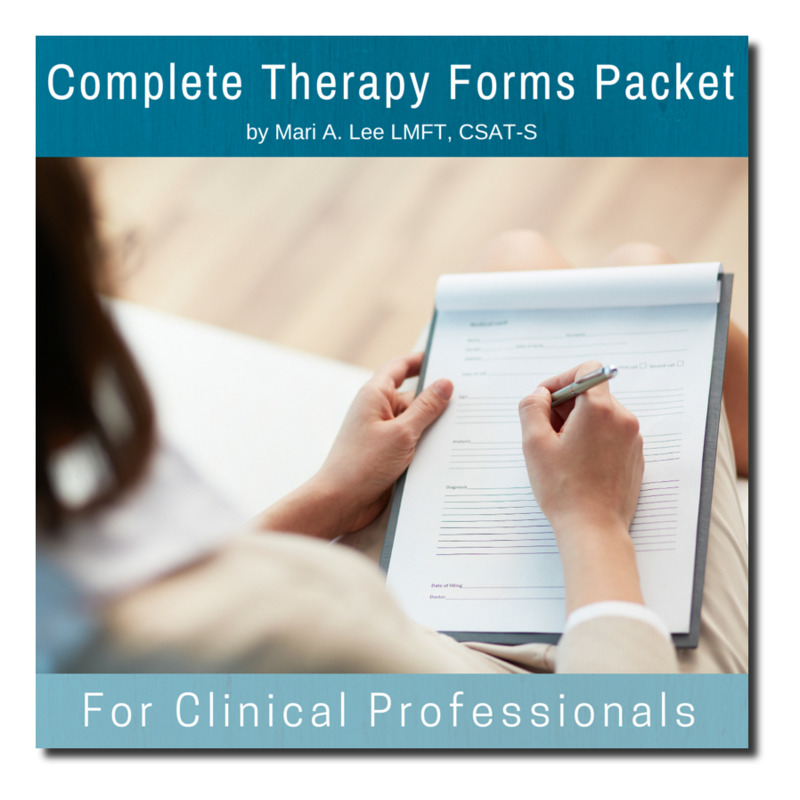 Complete therapy or clinical practice forms, workshop facilitator kits, group and couples counseling activities and exercises, and professional workshop information for therapists and other clinical professionals. and other visitors in need of information and materials. Read what other therapists are saying about Mari's products by clicking the flower button below! — John Larkin, Director, Canberra, Australia, www.sexaddictionhelp.com.au. Mari, I purchased the Employee Policy and HIPAA Manual and it is so fantastic - I am truly excited! What a wonderful tool you have created to support therapists! I look forward to diving in, reading, absorbing and growing up my practice.